The X Rocker Infiniti takes your PlayStation gaming to whole new levels with immersive 2.1 audio, vibration and wireless connectivity. 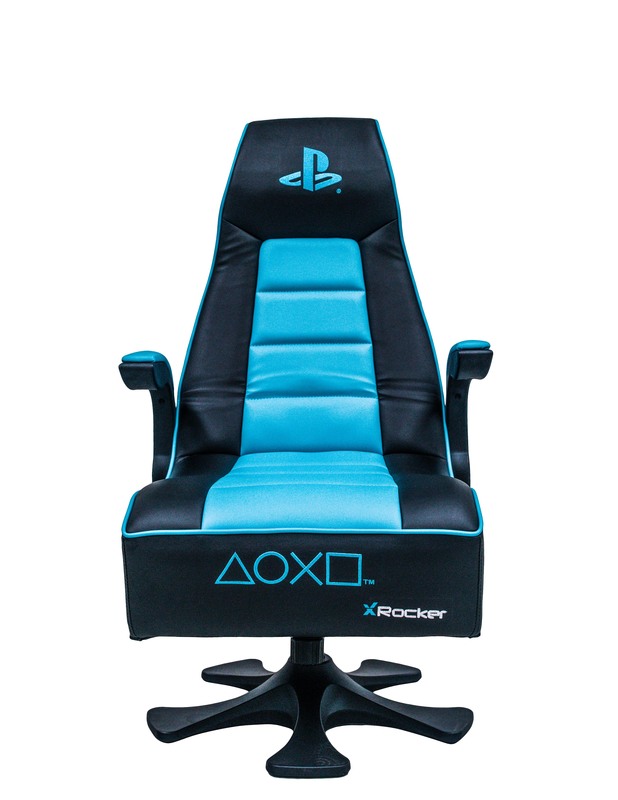 The X Rocker Infiniti is an officially licensed gaming chair for PlayStation gaming systems. Featuring a headrest mounted 2.1 audio system, tri motor vibration and our new wireless and Bluetooth compatible dual control panel. The included Wireless DAC transmitter offers full compatibility with all PlayStation gaming systems via either the Optical, USB or 3.5mm connections. The Infiniti is finished in an incredibly stylish blue and black colouration and deep comfortable padding for those long gameplay sessions.